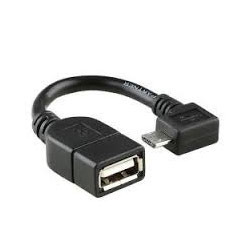 We being prominent distributor and importer of these USB Connector are widely used by our customers for transferring data from one device to another. These are compatible with solid and stranded wire head style cords. These are manufactured using optimum quality raw material to ensure they are best in class. The offered product are constructed with materials which is collected from our authentic vendor base. Siricom Technology, established in the year 1993, is an international open market distributor exclusively for Surface Mount Chip components. Founded in 1993, we are the first people to introduce Surface Mount Components across South India in Rupee payment. Our customer base includes OEMs, Space, Defence, Healthcare, Automobile etc, as well as many contract manufactures. Over the years, Siricom established itself as one of the prominent specialty distributor for SMDs. We import from Taiwan, Hongkong, Japan, Singapore & US. Our products are manufactured by the leading industry names with utilizing innovative technologies to ensure they offer best possible performance. We offer them in leading competitive price range. We strictly adhere to quality norms and all our products conform to international standards.